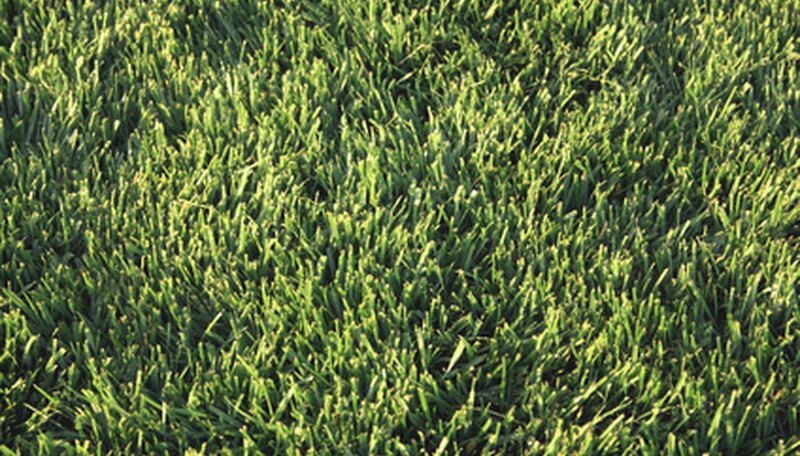 Rye grass is a winter grass, although some of the newer varieties can stand up to summer temperatures in many parts of the country. However, even rye grasses that supposedly do well in the summer tend to clump once temperatures begin to rise and can destroy the look of a lawn. For these reasons, you may want to remove your rye grass in the spring to allow Bermuda or other summer grasses to flourish without competition from the rye. Consult with a nursery or other lawn care specialist for a rye-specific herbicide that works well in your area. Even herbicides designed specifically for rye grass will often kill certain other types of grass, so choose your herbicide carefully so you don't destroy the grasses you wish to keep. Spray the rye-specific herbicide on your lawn in spring, once temperatures begin to rise. Choose a non-windy day to spray (to avoid over spraying into areas you did not intend to spray) and do not spray if rain is forecast within the following 24 hours. Wait 24 hours before watering your lawn. Watch for new rye grass growth over the next 14 days. If new rye grass grows, spray one more time with the rye-specific herbicide. Again, spray on a non-windy day and do not spray if rain is expected within the next 24 hours. Rake your lawn thoroughly with a thatch rake once the rye grass is dead. This will open your lawn and give the summer grass a chance to get started as quickly as possible. Once the try grass has been killed and the thatch removed, you can over seed with summer grass seed to fill in bare spots faster. Use caution when applying any herbicide--even rye-specific herbicides may kill other vegetation. Read and follow all label directions carefully.